WHAT MAGIC SPELLS ARE THE BEST? THANK YOU!!! Voting with your Twitter/Facebook accounts helps me to keep this website totally free of charge and to propose new articles and offers all the time! Wicca is very popular since the middle of the 20th century, but in fact is older than it appears for it is composed of elements from shamanism, druidism. 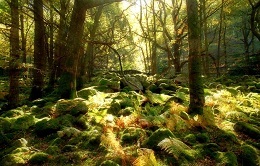 Wicca magic is based upon the force of Nature. This type of magic is very close to White Magic in the sense that it's considered mostly has a benevolent magic that respects ethical rules. If you're asking me the most popular magic type, I'd answer 'Voodoo' without a second of hesitation. 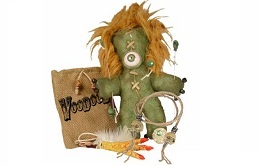 However, besides the popular myths, rumours, and the wrong image it has developped through books and movies (mainly due to the zombie phenomenon), Voodoo is a powerful magic that can be used to receive positive results. Like Wicca, White Magic is a benevolent form of magic. White Magic spellcasters follow ethical codes and moral practices. Some believe that White Magic is weak but they're wrong. Unlike Black Magic, it's true that it's long to learn White Magic spell casting, but once you master the rituals, they appear to be very powerful. 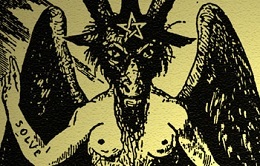 Black Magic is traditionally referred to as the use of occult and evil powers to fulfill selfish purposes. In opposition to White Magic, there are no taboos and rules to respect in Black Magic spell casting. That's why some say that "everything is possible". These spells are amongst the most powerful ones but need to be used with caution to avoid backfires. Egyptian Magic could be as well categorized with White and/or Black Magic, but as one of the most ancient magic, I thought it deserved to be considered as a whole. Egyptian Magic is very powerful thanks to the conjuration of ancient Egyptian spirits and gods. 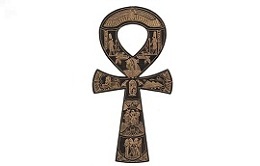 This magic has its dark side and Egyptian occult spirits can be extremely harmful, so it's highly recommended to have a solid experience before casting this kind of spells. Santeria is a magic from the Caribbean. Like Voodoo, its roots are in West Africa. 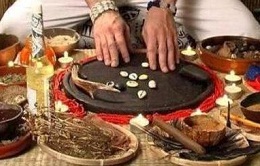 This Magic that comes from the Yoruba religion is one of the more complex because it involves traditionnal healing (medicinal plants and spiritual healing) and therefore it can take a whole life to learn it well. Besides, the rituals and magic ceremonies are difficult because they require to reach a state of trance and often comprise animal sacrifices. Voodoo, White & Black Magic, Wicca, etc. : what magic is the best for you? Around the world, there are several types of magic. Some, like Voodoo for example, are very popular and have been the object of books, documentaries, or movies. 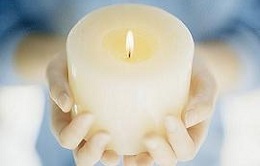 On the contrary, some others remain secret and little information filter about them. But all of them have 2 things in common: they are centuries old and have proven their efficiency under many different circumstances. Though, it's not always easy, when you have to make a decision about the right spell to cast, to know what's the best magic to use. Actually, this choice is very important - if not the MOST important - and will determine the success of your spell. The approach in spell casting can be very different from one magic to another. Hence the results may vary a lot for the same case and you can have from no results at all to full success depending on the type of magic you have chosen. The present page does not intend to establish an accurate classification (this will come later in another article), but to collect your opinion through a voting poll.